Over the last 2,500 years, the small city of Vienne in the Rhône-Alpes region has regularly found itself at the intersection of great forces in the history of France. However, during the last 100 years, Vienne has faced a different kind of crossroads, one which saw it at risk of becoming just another small French ville little-known by the rest of the world. 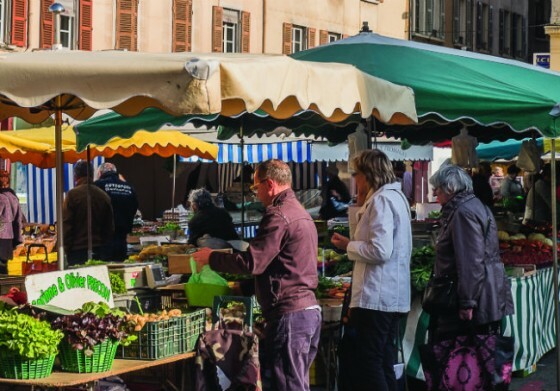 By the end of the 19th century, Vienne, which is situated just 20 miles south of Lyon, had simply become a convenient place for the Lyonnais to escape to for a long weekend in the country. Vienne’s return to prominence, which started in the early 1900s, was prompted by major archaeological discoveries and – what else? – the town’s extraordinary French cuisine. Today, even as Vienne’s boundaries creep inexorably toward Lyon, the city has emerged as an important destination for travellers, one which provides a remarkable window into France’s past. 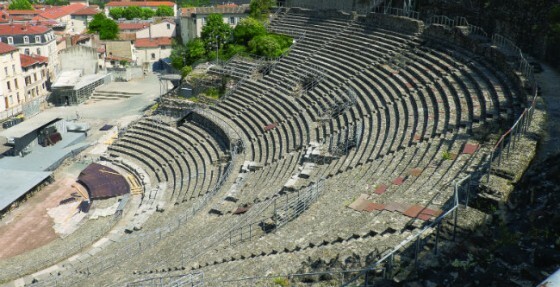 the Theatre Antique de Vienne. When Hannibal crossed the Alps in 218BC, he ran into – then over – the Gallic people known as the Allobroges, who had made their capital in Vienne. The Romans arrived 150 years later, liked the natural port created by the Rhône River’s curves and turned Vienne into a powerful provincial capital. The early Christians also found the city amenable – Vienne had one of France’s first bishops, appointed in 79AD, and Pope Clement V convened his council here to condemn the Knights Templar in 1311. Vienne’s storied history explains the 40 monuments and sites classés situated in a compact strip which runs along both banks of the Rhône. Perhaps most important is the ongoing excavation, started in 1967, at Saint-Romain-en-Gal, across the river from the city centre. 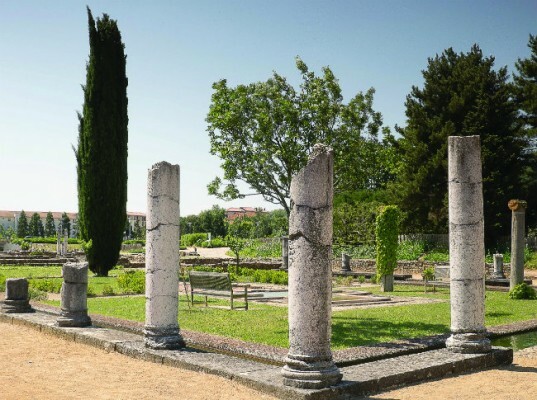 Archaeologists are gradually uncovering an entire Roman town there, complete with stone avenues, public baths and the foundations of houses both great and modest. 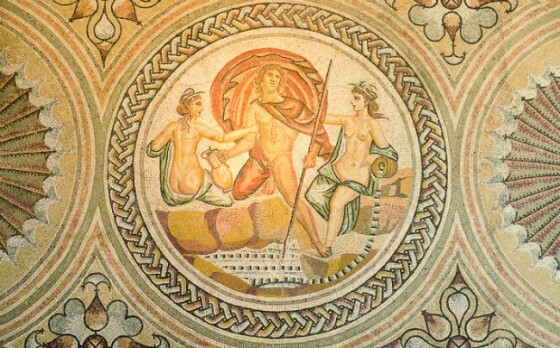 The Musées Gallo-Romains relates the story of Vienne’s evolution as a major trading centre and displays dozens of exceptional mosaics discovered at the site. the ruins of a Roman house at St Romain-en-Gal. On the left bank, there’s a Roman theatre at the base of Mont Pipet. Originally designed for 11,000 spectators, the Théâtre Antique de Vienne provides a spectacular setting for the annual Jazz à Vienne festival, which this year featured such artists as Dee Dee Bridgewater and Allen Toussaint. Vienne’s centre is also rich in Roman history. When Thomas Jefferson visited in 1787, he thought he was seeing a “Pretorian palace”. In fact, it was the Temple d’Auguste et de Livie, which the Romans dedicated to Augustus and Livia. As Jefferson put it, the temple had been “defaced by Barbarians”, with Gothic windows wedged into improvised walls between the Corinthian columns. Happily, the temple’s classical elegance was restored and now, on fine evenings, the Place du Palais Charles de Gaulle is usually thronged by locals enjoying a drink and conversation at the many cafés which encircle it. One of the city’s great charms is the comfortable coexistence of styles from every period of its history. A cross-timbered medieval house sits just a few feet from the ruins of the Garden of Cybèle, a Gallo-Roman forum, while barrel-vaulted passageways lead from one narrow street to the next. Several ancient churches in the centre ville evoke Vienne’s earliest days as the seat of bishops and archbishops. The most important of these is the 11th-century Cathédrale Saint-Maurice, a vast edifice which overlooks the Rhône. 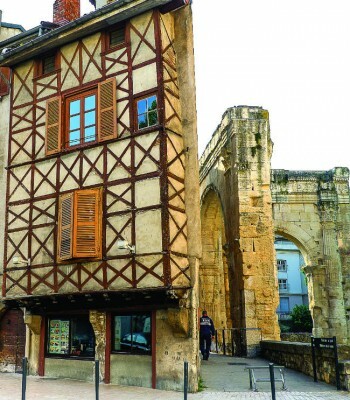 Like so many other great French churches, its façade bears the marks of evolving architectural styles, due to its 500-year construction, another five centuries of patchwork maintenance and 15th-century Huguenot vandalism. medieval houses next to Vienne’s Roman ruins. One of Vienne’s most emblematic sites is a de-consecrated 5th-century church now known as the Musée Archéologique Saint-Pierre. Its interior is rustic but lovely, with light filtering from windows high above the bare stone, Romanesque arches. 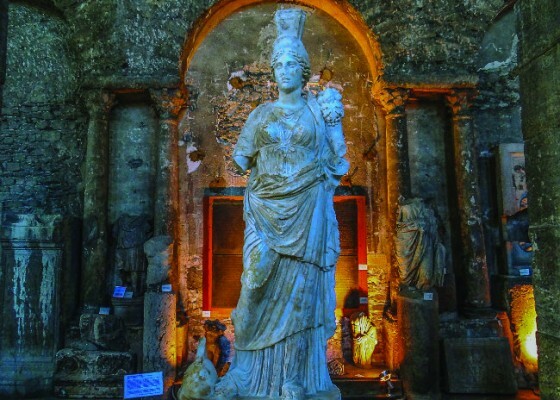 Since 1872 this site’s served as a museum of archaeological finds from every period of the city’s history. Roman statues stand next to tombstones of medieval saints, and the broken columns scattered in the yard are a mix of Corinthian and Gothic. One more Roman artefact in Vienne deserves a mention, namely a 50-foot-tall stone obelisk known as La Pyramide, on the southern edge of the city centre. Over time, locals have thought that it might be part of an ancient theatre or a tomb housing the bones of Pontius Pilate, but contemporary historians think it was the turning post for Roman chariot races. the exterior of La Pyramide restaurant. The La Pyramide obelisk also lent its name to a neighbouring restaurant where, from 1925 to 1955, chef Fernand Point ruled over what many called France’s greatest restaurant of those decades. 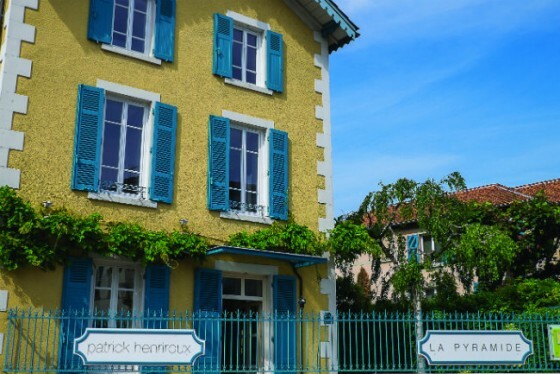 Fernand Point earned one of Michelin’s first-ever three-star ratings in 1933, was known to exclaim “Du beurre! Donnez-moi du beurre! Toujours du beurre!” (“Butter! Give me butter! Always butter!”) and trained Paul Bocuse, the Troisgros brothers and Alain Chapel in his kitchens. He developed many of the fundamentals of nouvelle cuisine and made La Pyramide a required stop for gastronomes from every part of the globe. 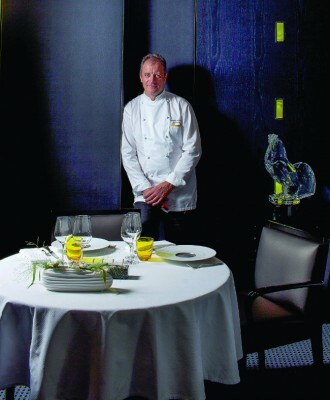 Chef Patrick Henriroux in his Michelin two-star restaurant. Fly to Lyon Saint Exupéry Airport, take the train to the Gare de Lyon-Part-Dieu for a connection to Vienne, or rent a car and take the A7 Autoroute south. Richard lived in Clermont-Ferrand for seven years and has travelled regularly to every corner France for the past nineteen. He writes weekly about everything related to the center of France -- travel, history, food and culture of the Auvergne, the Centre and the Limousin – at DeepHeartOfFrance.com.